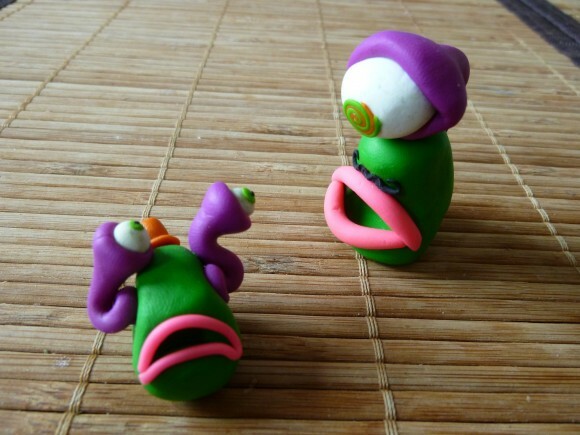 Little monsters made of clay, about 4 cm small. Extra awesomeness was added with a tiny hat and mustache. Everybody loves hats and mustaches!